From the superstar creative team that brought you a new start to the Caped Crusader comes the story that could end him. 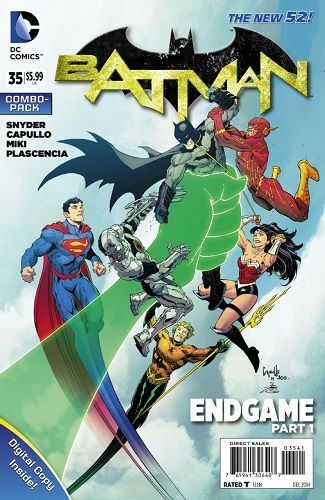 Be there in October for the biggest, deadliest and most epic story yet from writer Scott Snyder and artist Greg Capullo - 'Batman: Endgame' begins here! This issue is also offered as a combo pack edition with a redemption code for a digital download of this issue.